The colder months of fall and winter are the time to put away our sundresses and shorts and start incorporating pants into our wardrobe. While the right pair of jeans can be amazing, denim can also get boring pretty fast. Who wants to wear jeans every single day, you know? Luckily, there are other options, and one of my favorites is a pair of cargo pants. 2. A perfect fall outfit? A hat, cozy sweater, and cargo pants. 3. 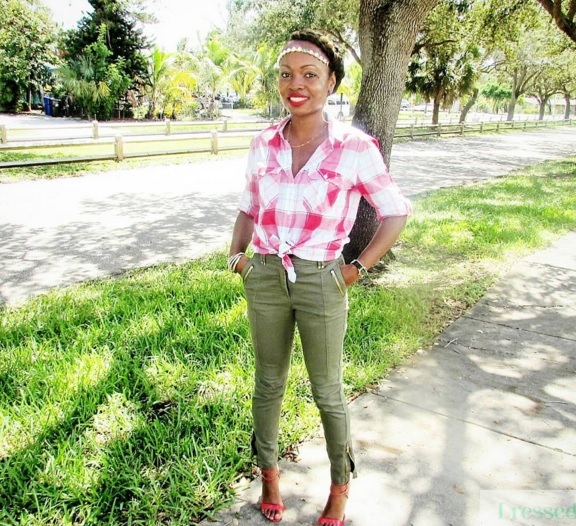 A white button down top looks crisp and glam with cargo pants. Add coral shoes for a pop of color. 4. Don’t only stick with neutrals! A colorful top and shoes look just as good. 5. 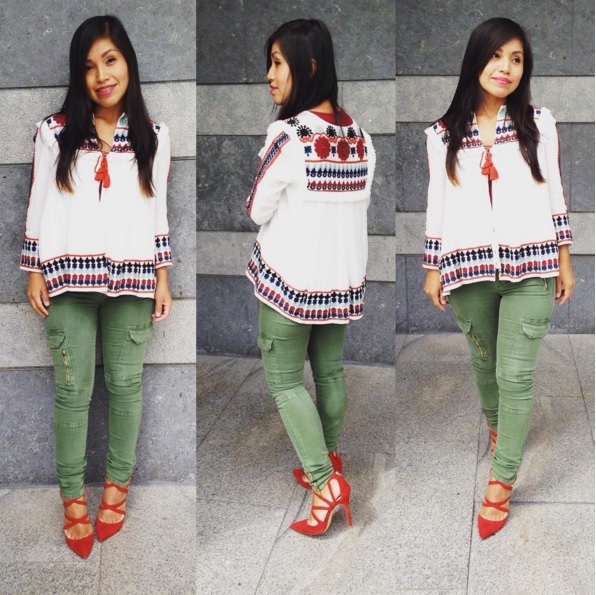 Keep cargo pants professional with a fitted blazer and nice heels. 6. 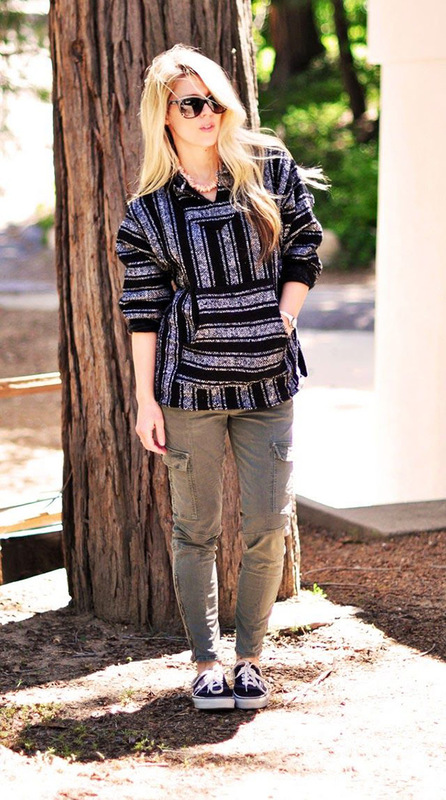 Roll up your cargo pants and wear them with ankle boots. Layering a sweater over a plaid top completes the look. 7. Keep it simple with a striped shirt and a leather jacket. Leopard print flats make the outfit more fun. 8. Tie a colorful plaid shirt in front and add a cute headband. 10. For an even more casual look, add a hat, graphic sweatshirt, and Timberland boots. 11. This is the easiest option yet: a white tee and black sneakers. Still so cute! 12. Do some fall layering with a cozy sweater and a button down shirt. 13. Opt for the monochromatic look with an army green sweater, a neutral scarf, and neutral shoes. 14. 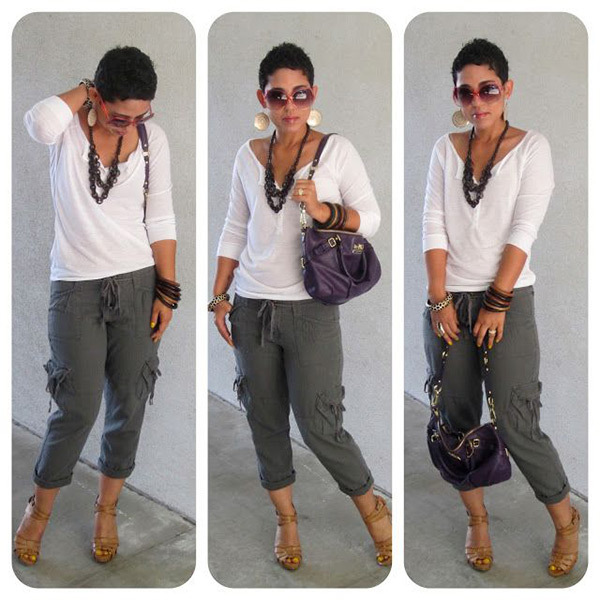 Adding heels and lots of statement jewelry instantly dresses up a white top and cargo pants. 15. Add mules, a statement necklace, and a turtleneck sweater tank for a cute fall look on warmer days. 16. A cardigan, white tee, and flats make for a comfy and cute outfit that’s perfect for school. Add a fun leopard print scarf to keep it more interesting. 17. 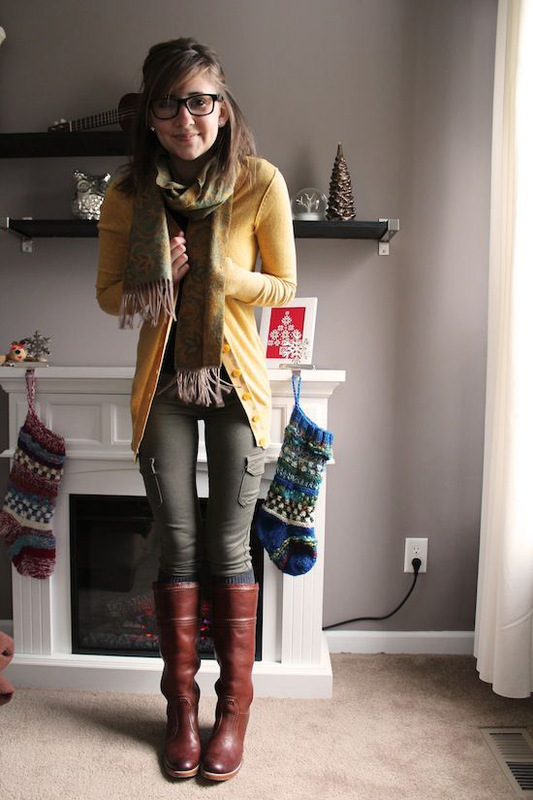 Wear your cargo pants with knee high boots and a bright sweater. 18. It doesn’t get much more simple than this casual weekend look! 19. 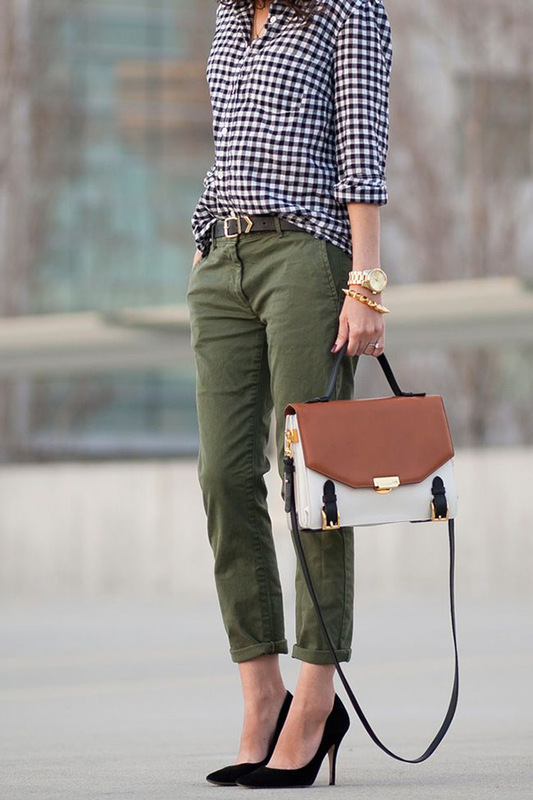 A cute pin-striped button down and heels keeps cargo pants looking chic. Fun accessories, like this leopard belt, make things more unique. 20. And sometimes, all you need to do is add a cozy hoodie and sneakers!